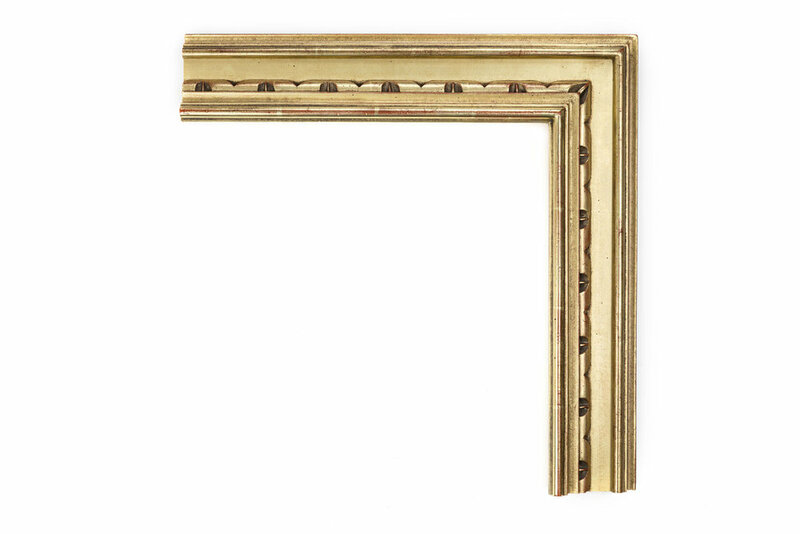 A Statement piece designed to be the center of attention, the frame becomes the artwork. 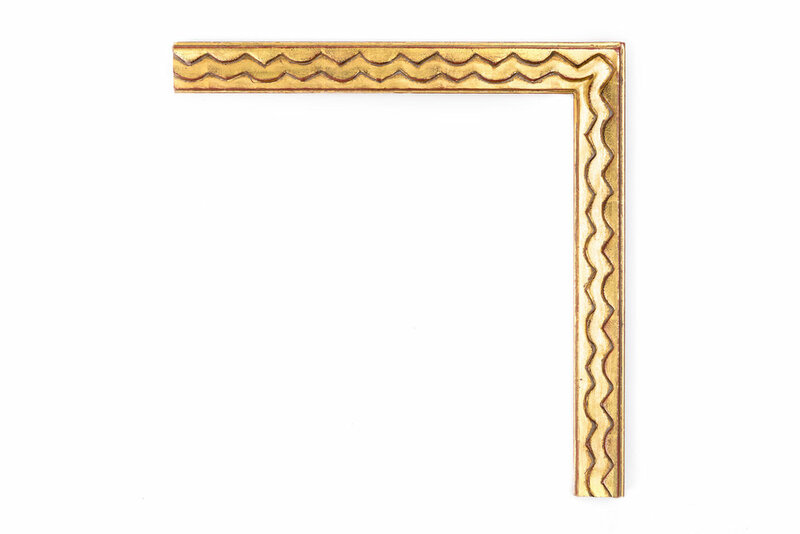 An art nouveau-inspired curvilinear design perfect for abstract expressionism, cubist or early/mid-century mediums of art. 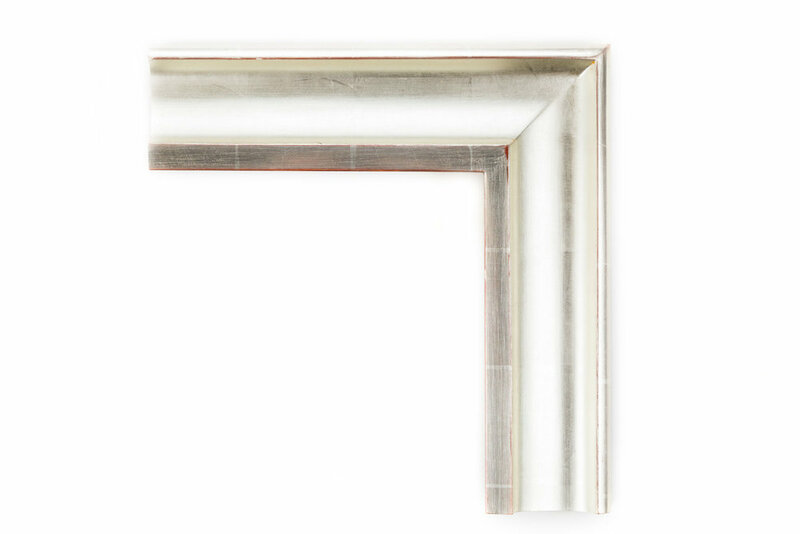 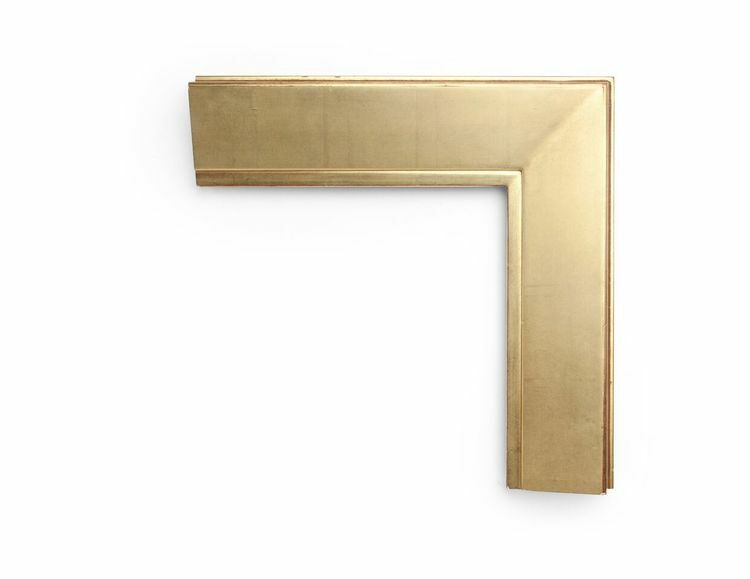 This frame promotes a sense of softness and weightlessness making it ideal for light and airy spaces. 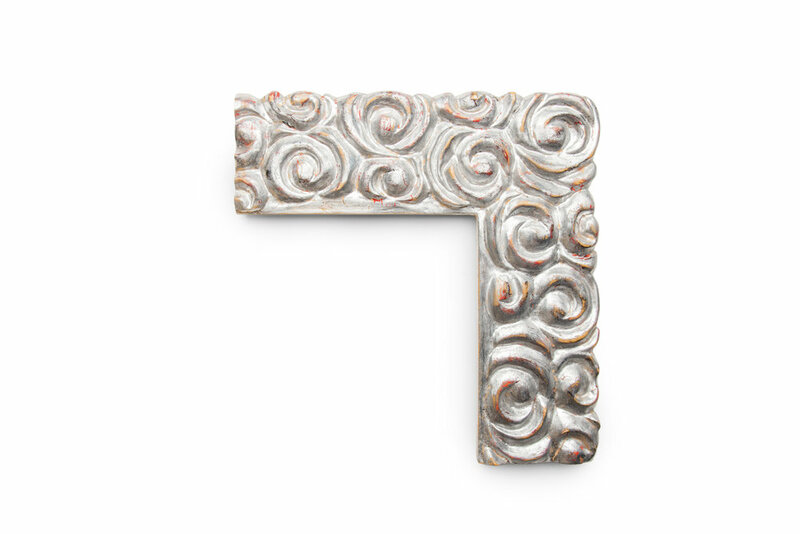 The dense overlapping swirls provide for a dramatic look in any room with a tendency to steal the show. 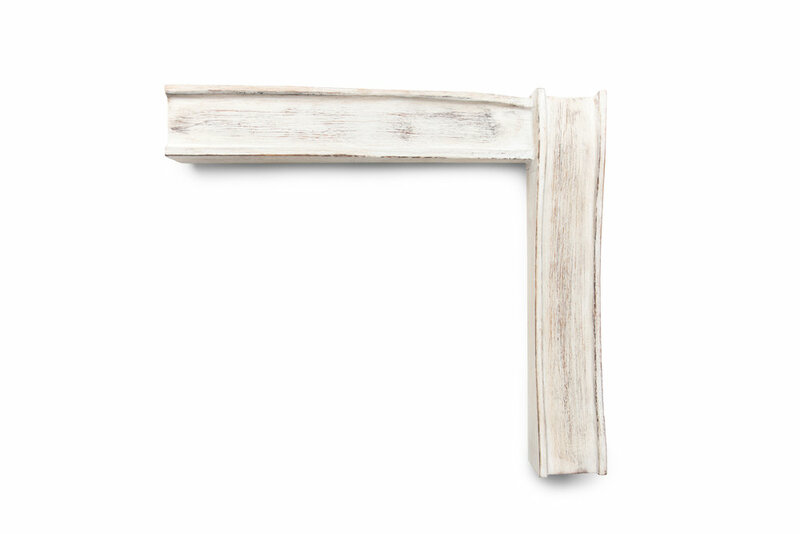 A cohesion of beach driftwood and arts & crafts, suitable for portraits, beach scenes, nautical maps, and modern whimsy. 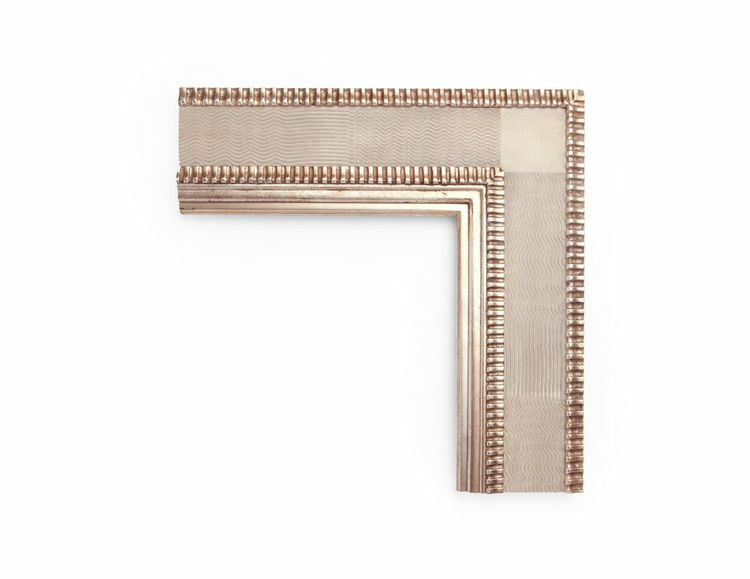 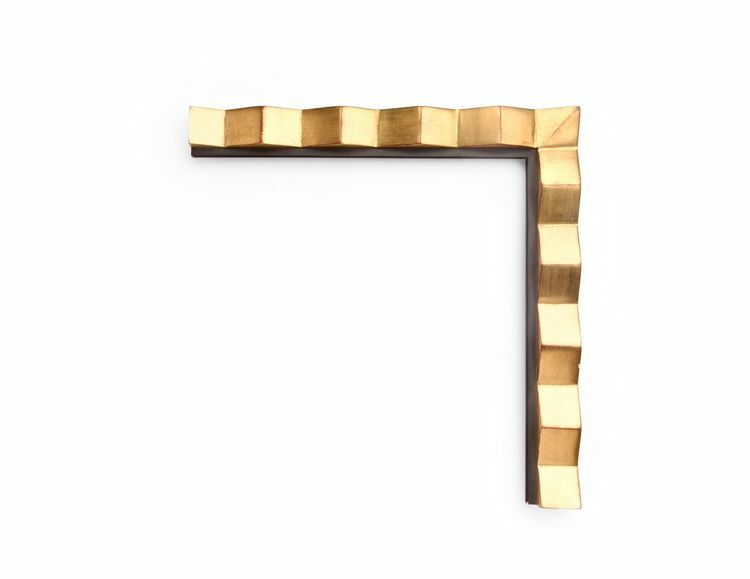 A Powerfully modern take on a traditional design element normally seen as a detail in Renaissance frames. 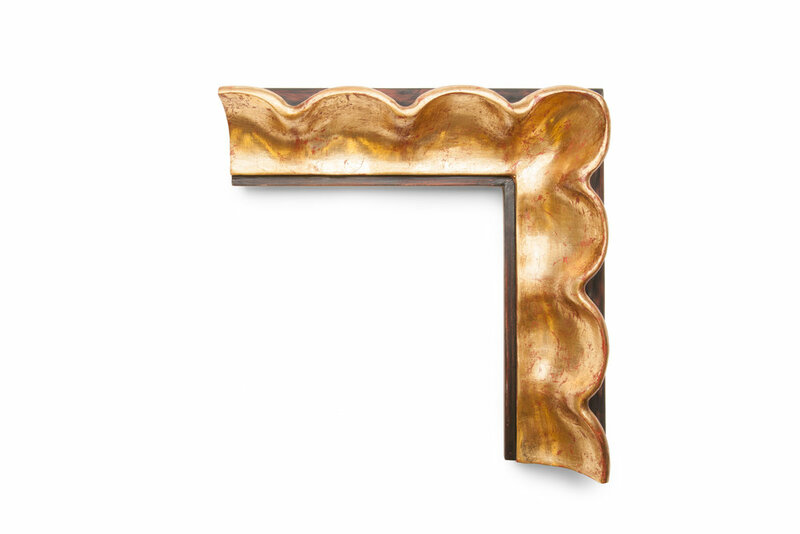 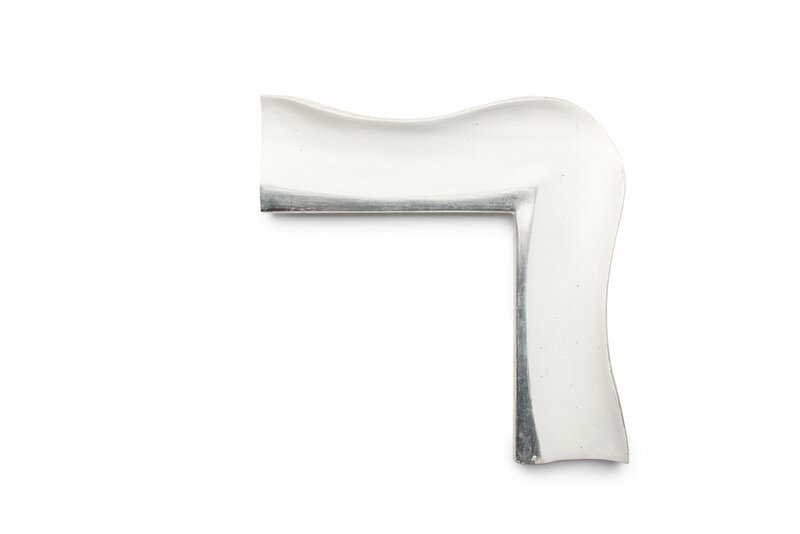 A warm and dramatic scoop outward pushes the artwork forward into space. 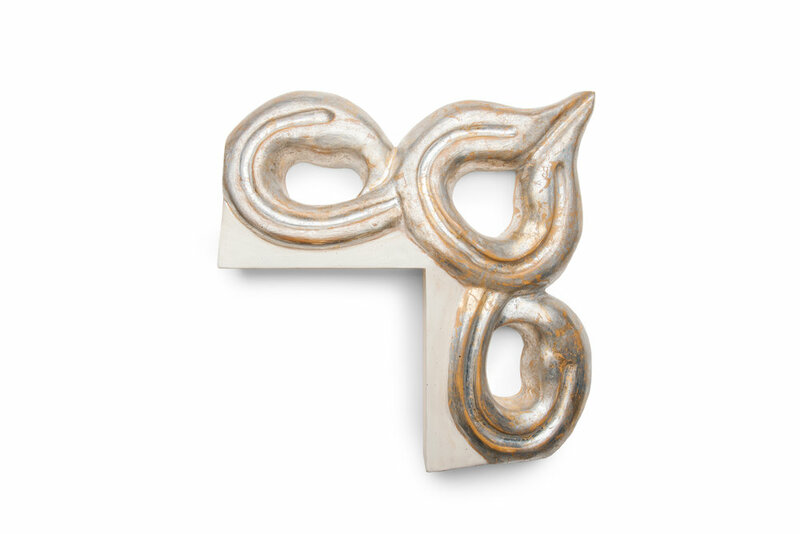 The sinuous surface is remnant of silver ore and works wonders on modern artwork. 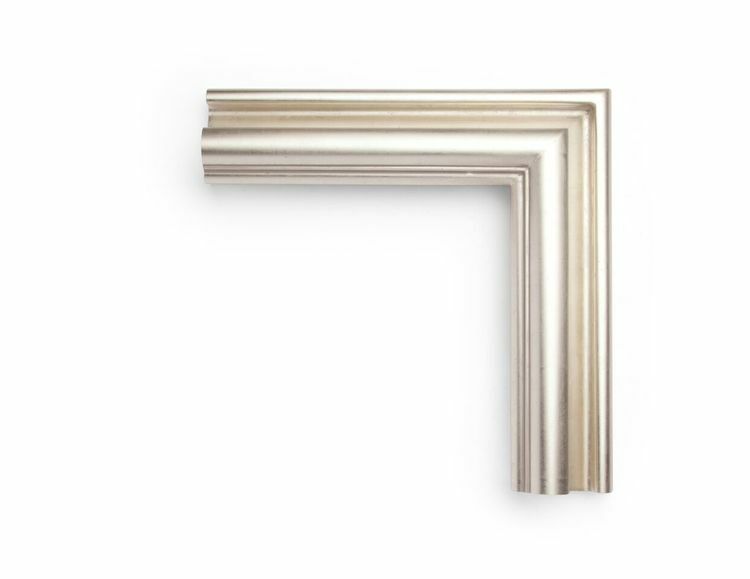 The angles of this frame gives it a modern flair while the heavy rub echoes a hint of mid-century modern ideas. 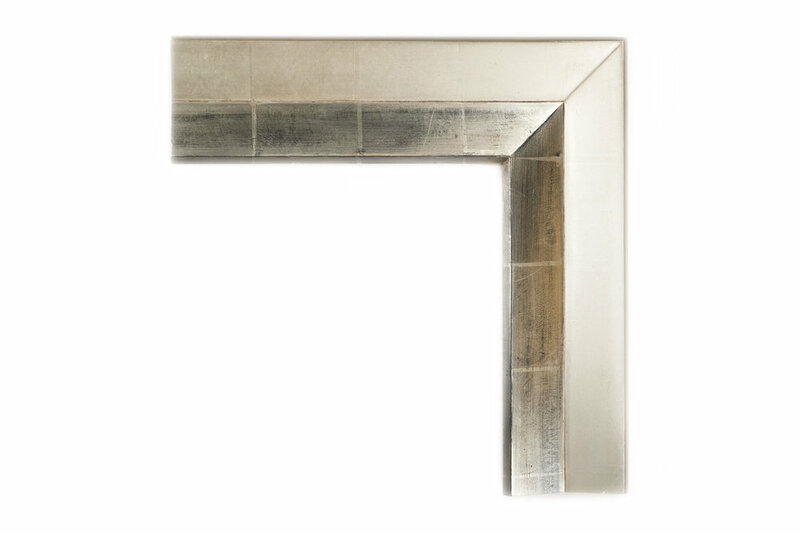 A contemporary Spanish design with a textured black panel surface and antiqued silver lip. 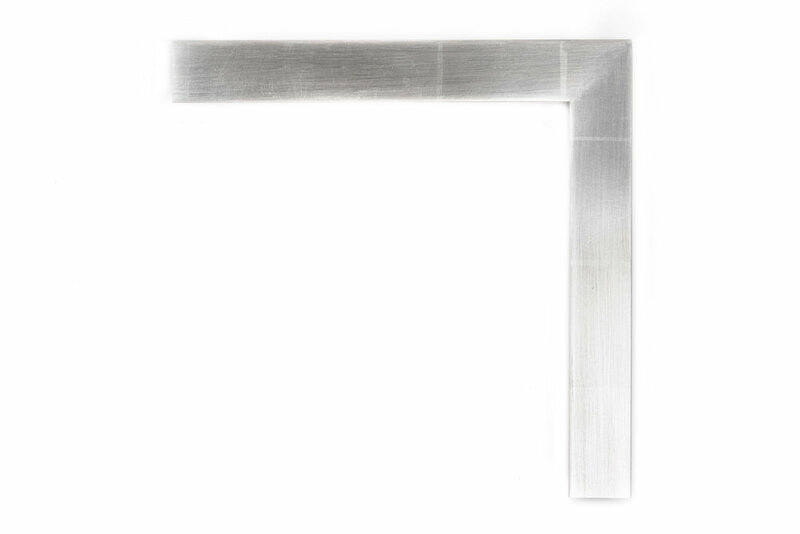 S6-300. 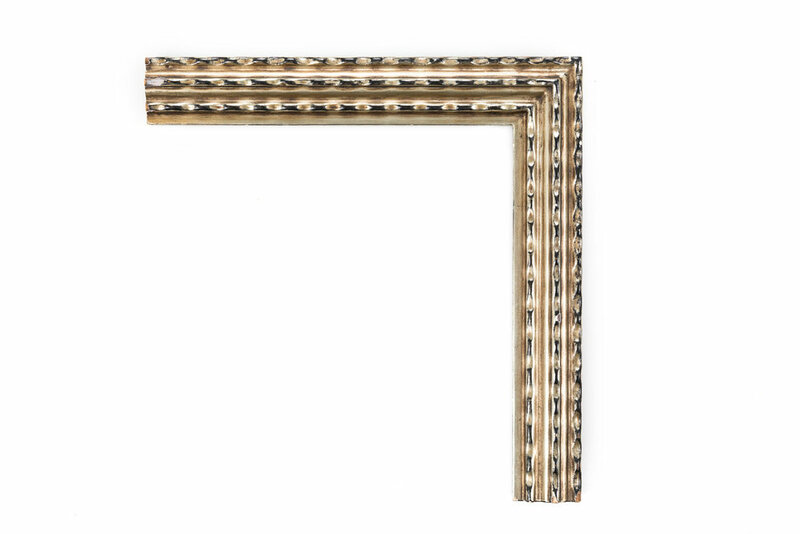 An English modernist 4-1/2 inch frame, with a combed-gesso panel in alternating patterns, bordered by strips of perpendicular ripple decoration, and a stepped inner lip. 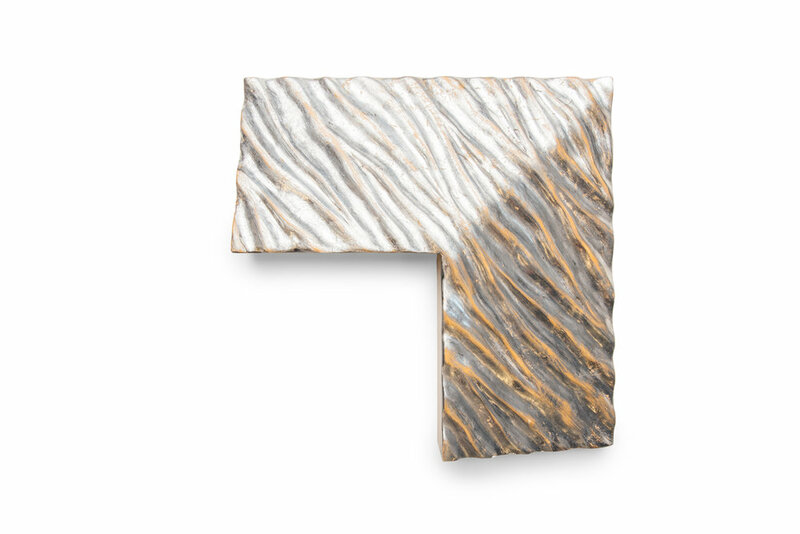 The finish shown is silver leaf and white clay gesso with a gray wash.
1 1/4" White gold over black swan profile with fish scales in the panel. 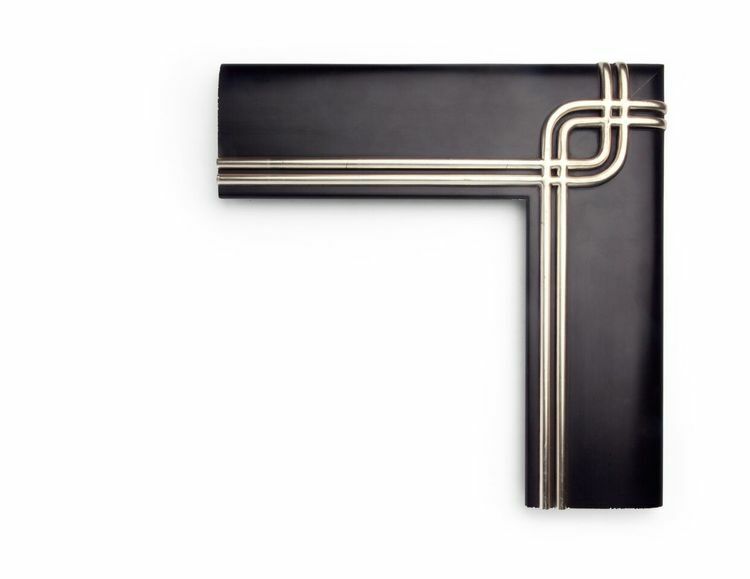 This is a small sample of our selection of Modernist frames. 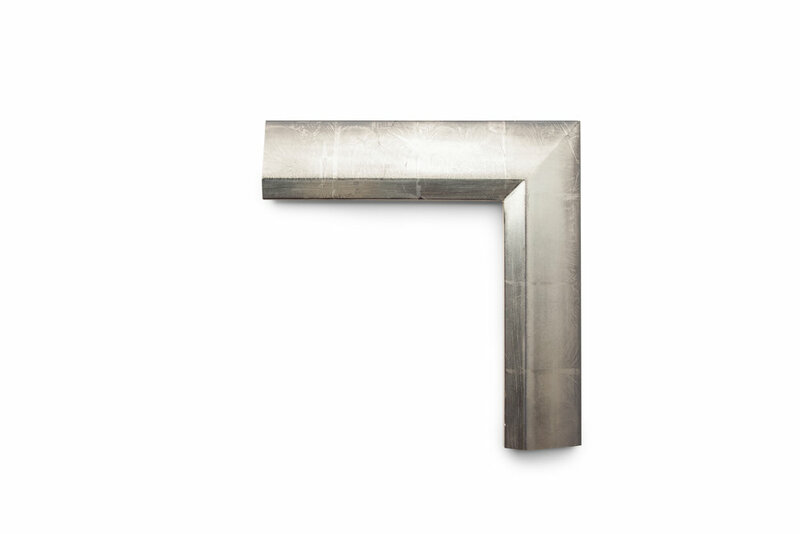 Come in to see more.